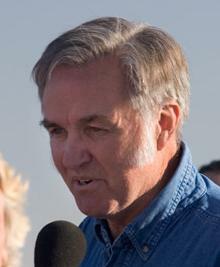 See the gallery for quotes by Burt Rutan. You can to use those 8 images of quotes as a desktop wallpapers. To allow public access to orbit, we would need breakthroughs that would lower the cost by a lot more than an order of magnitude and increase safety by a factor of 100 as compared to every launch system used since the first manned space flight. I think airborne launch will be a significant part of the safety solution. 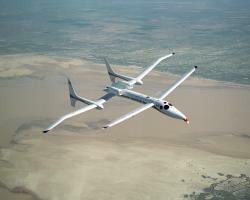 Virgin Galactic, which will be operating SpaceShipTwo, will be only one of several spacelines. The competitors for Virgin include the Russians, Bezos's Blue Origin, and possibly Rocketplane Kistler. And likely a couple of others who are smart enough not to tell people what they are doing! We didn't have practical model rockets in the '50s. The ones we made were very dangerous and the kids that played with them didn't have all their fingers, and sometimes were blind in one eye. We didn't know the importance of home computers before the Internet. We had them mostly for fun, then the Internet came along and was enabled by all the PCs out there. We need affordable space travel to inspire our youth, to let them know that they can experience their dreams, can set significant goals and be in a position to lead all of us to future progress in exploration, discovery and fun. Thanks to the X Prize for the inspiration. When there's ever a breakthrough, a true breakthrough, you can go back and find a time period when the consensus was 'well, that's nonsense!' so what that means is that a true creative researcher has to have confidence in nonsense. In 12 or 15 years, there will be routine, affordable space tourism not just in the U.S. but in a lot of countries. 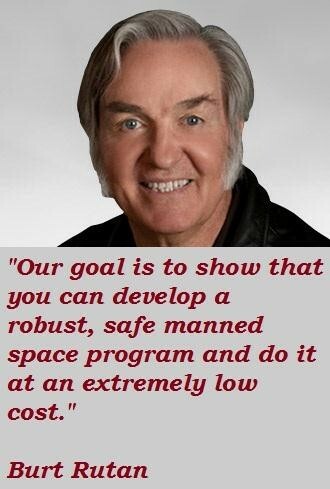 Our goal is to show that you can develop a robust, safe manned space program and do it at an extremely low cost. Testing leads to failure, and failure leads to understanding. The criticism is, once I get something flying, I lose interest in it. Usually the wacky people have the breakthroughs. The 'smart' people don't. 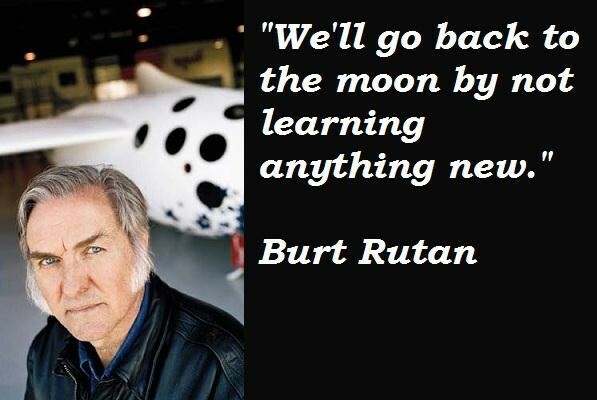 We'll go back to the moon by not learning anything new. Airplanes were invented by natural selection. 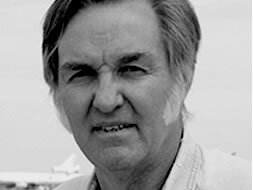 Now you can say that intelligent design designs our airplanes of today, but there was no intelligent design really designing those early airplanes. There were probably at least 30,000 different things tried, and when they crash and kill the pilot, don't try that again. At various times over 20 years, I did preliminary designs for aircraft like the Stratolaunch. For that whole time I was encouraging us to do something that almost everyone else felt you could not do. By 1931, after a few years' experience of flying scheduled airlines, those planes were operating at roughly 600 times the safety of the space shuttle. I look at safety not in terms of fatalities per passenger-mile, but when you get in and close the door, what is the risk of dying on this flight? By 1973, we had a space station, the Skylab, and we had multiple probes going up to planets. So, all this wonderful stuff happened in 10 to 15 years. About that time, there should have been enormous initiatives to make it affordable for people to fly in space, not just a handful of trained NASA astronauts and Russian cosmonauts. For the industry we're starting now, for suborbital flight, there is no destination, so the spacecraft you go up in has to be large and spacious. That's why SpaceShipTwo is much bigger than SpaceShipOne: It needs to be because you want those six people to be floating around and enjoying themselves. 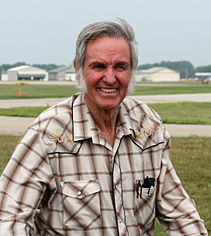 I spent about seven years during the Vietnam War flight-testing airplanes for the Air Force. And then I went in and I had a lot of fun building airplanes that people could build in their garages. And some 3,000 of those are flying. Of course, one of them is around-the-world Voyager. I was shocked to find that there were actually climate scientists who wouldn't share the raw data, but would only share their conclusions in summary graphs that were used to prove their various theories about planet warming. In fact I began to smell something really bad, and the worse that smell got, the deeper I looked. In the coming era of manned space exploration by the private sector, market forces will spur development and yield new, low-cost space technologies. 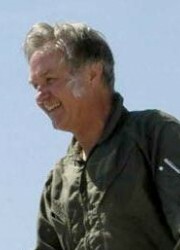 If the history of private aviation is any guide, private development efforts will be safer, too. NASA works for the White House. There are many at NASA that wish they were building a modern replacement for the Shuttle. However, they had marching orders to instead work on other things, some of which should have no place in a research organization. 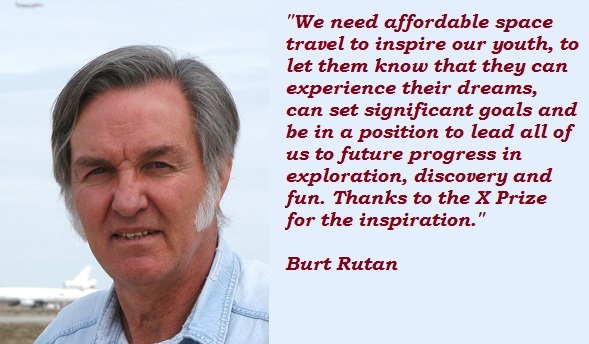 Much more quotes by Burt Rutan below the page. NASA's myriad failures are in many ways the natural consequence of a catastrophic combination of bureaucracy, monopoly, and a calcifying aversion to the kind of risk necessary for innovation. Space travel is the only technology that is more dangerous and more expensive now than it was in its first year. Fifty years after Yuri Gagarin, the space shuttle ended up being more dangerous and more expensive to fly than those first throwaway rockets, even though large portions of it were reusable. It's absurd. The most impressive airplane ever, I believe, was designed only a dozen years after the first operational jet. Stayed in service till it was too rusty to fly, taken out of service. We retreated in '98 back to something that was developed in '56. What? The most impressive spaceship ever, I believe, was a Grumman Lunar Lander. The photographs of space taken by our astronauts have been published all over the place. But the eye is a much more dynamic mechanism than any camera or pictures. It's a more exciting view in person than looking at the photographs. Of course, I personally am sick and tired of hearing people talk like that: I want to see it myself! There is a rampant tendency in any industry where someone is trying to sell something with a bunch of data, where they cherry pick a little bit... bias a little bit. This becomes quite easy when there is an enormous amount of data to cherry pick from. There was a wonderful little short four-year time period when marvelous things happened. It started in 1908, when the Wright brothers flew in Paris, and everybody said, 'Ooh, hey, I can do that.' There's only a few people that have flown in early 1908. In four years, 39 countries had hundreds of airplanes, thousands of pilots.